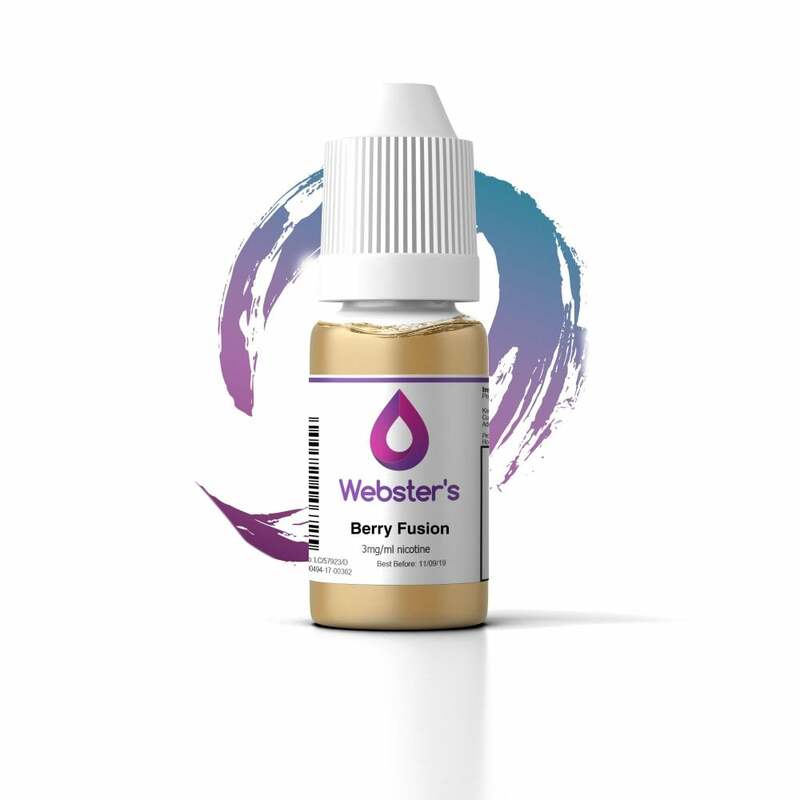 Berry Fusion e-liquid by Webster’s One Pound Wonder is a juicy blend of strawberry, raspberry, blackberry and blueberry. Webster’s Berry Fusion serves up an unforgettable berry burst that’s perfect for fans of a fruity vape. Great taste, great vape, great price, one of my favourite fruit liquids. Wasn’t impressed with this, it’s sweet but quite harsh on the throat. Great service from placing my order to receiving my delivery. Would recommend Electric Tobacconist tried the liquid in my vape really pleased with the quality. Will reorder again. Thank you! Id pay 2 or 3 pound for this easily. its got a great flavour, great cloud, well worth a pound. its easily as good as some you pay 3/4 pound for. Nice one!